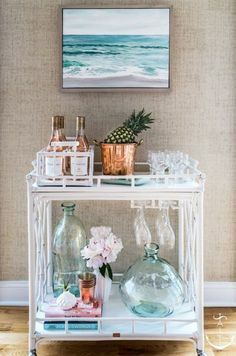 Nothing says Winter like white home decor, so why not introduce this stunning color to your bar stools? It is time we face an obvious fact: Winter will be here before you know it. 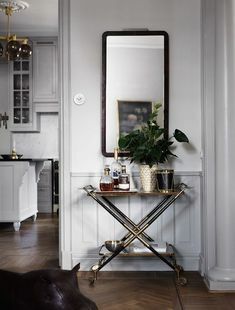 We don’t mean it in a bad way, in fact, it’s one of the most beautiful seasons and we are more than excited for the home decor ideas that will arise from this festive time of the year. 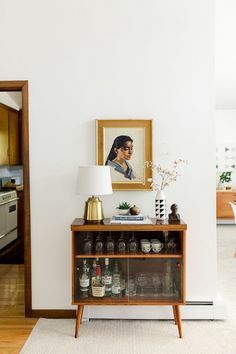 So it only makes sense that we start getting our mid-century modern decor ready for it. 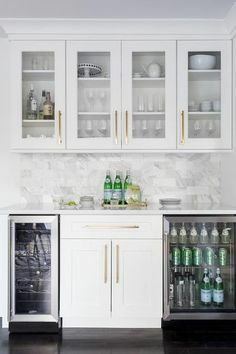 And today we will start with your home bar and kitchen, showing you how you can bring a little bit of that Winter wonderland feeling to your home by using nothing other than white bar stools. 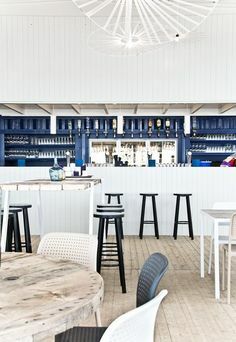 If you are already missing Summer, then getting these coastal-inspired white bar stools might be a way to bring you back to the endless Summer nights. And the best thing? 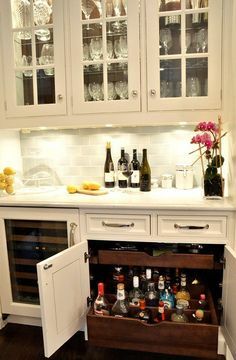 It can easily be adapted and look perfect in a Christmas decor! In fact, these white bar chairs are versatile with its rustic design and white tones, bringing a look of elegance into your Winter wonderland decor. Gable bar chair is a white swivel bar stool with copper details that help to bring out the best in the leather seats. A sleek and timeless design that will totally take your Winter home decor to the next level. 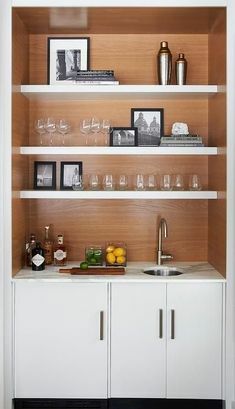 White upholstery and wooden base echo is the mood of this kitchen decor. 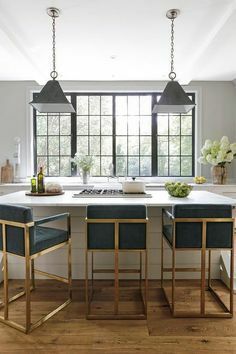 If you have an open plan kitchen and dining room, putting the counter in the middle of the room will separate the room naturally, providing a broad view. The space will feel bigger, perfect when it comes to Christmas parties with your friends and family. Russel bar chair delves into space-age aesthetics, being produced in creamy velvet fabrics mixed with polished brass. The base is round and swivels up to 360 degrees, providing comfort through the foot rail. Your kitchen counter stools don’t have to be over the top to look gorgeous. These super minimalist white bar stools do the trick and help to maintain the simple decor around the kitchen and your home bar. Sometimes less is, in fact, more. 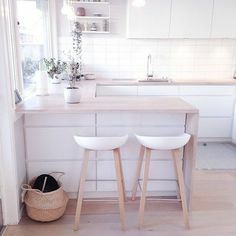 If you don’t want to go with swivel or white leather bar stools, you can always go with these plain white wood stools that would certainly look great in any modern kitchen decor! 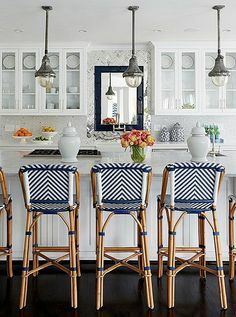 Stools such as these are extremely trendy, so when you are looking to decorate for this Winter in your kitchen and home bar, go for these! Even if you are not quite thinking about a Winter home decor, but your home boasts a stunning contemporary interior, then white is definitely the way to go. 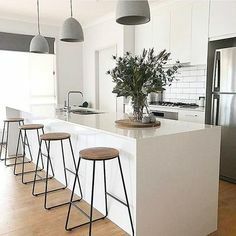 Look at how well these sleek and minimalist white stools look on the counter! When it comes to decorating for Winter, your imagination is the limit!